Freeze dried raw food is a big hit in our household. Ty eats freeze dried raw food as part of his special cancer diet, and I love products such as Nature’s Variety Instinct® Raw Boost® Mixers to add a boost of raw protein and nutrients to Eve’s food. Her sensitive tummy does well with that, and it helps keep her coat looking great. 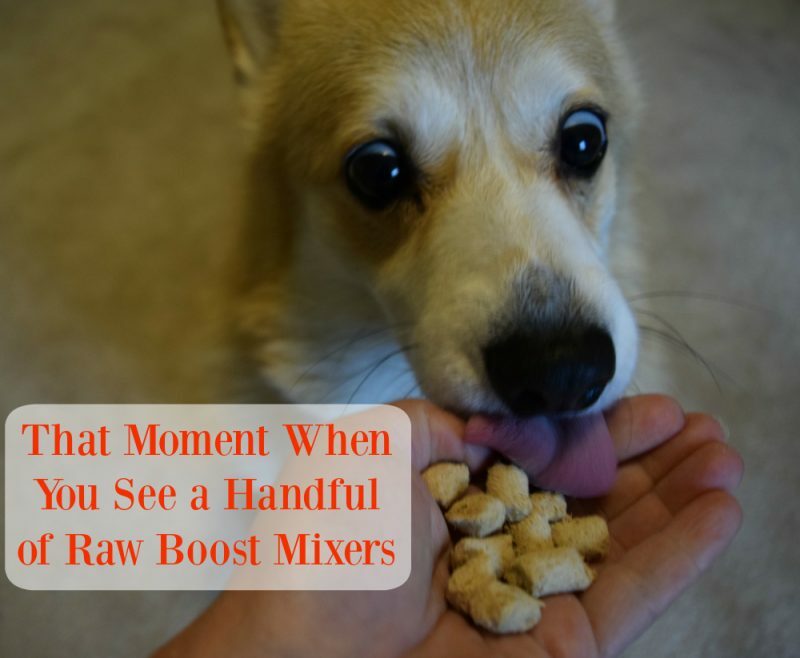 Further, raw mixers are great as training treats and as healthy snacks for the dogs. 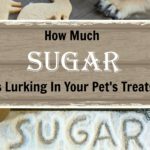 Pet owners are increasingly choosing freeze-dried raw as an easy-to-prepare, nutrition-packed food. 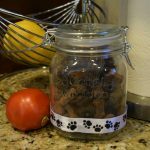 Freeze-dried foods allow pet owners to conveniently take advantage of the nutritional benefits of a raw diet without worrying about messy ingredients or difficult to store items. Instinct Raw Boost Mixers makes it all even easier because they are available at PetSmart, and there are even sample sizes available. Eve and I took a shopping trip to pick some up. Eve loves to go shopping! 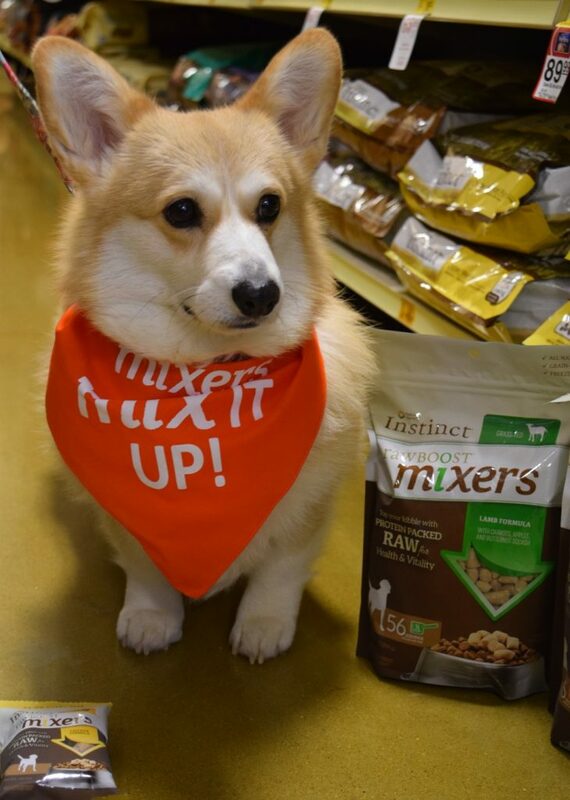 Finding Instinct Raw Boost Mixers in your local PetSmart is easy. 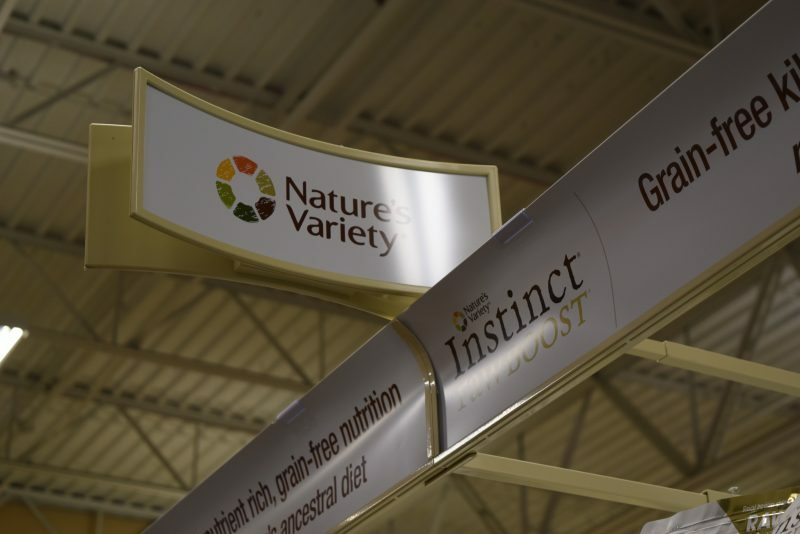 Look for the Nature’s Variety sign in the pet food section! 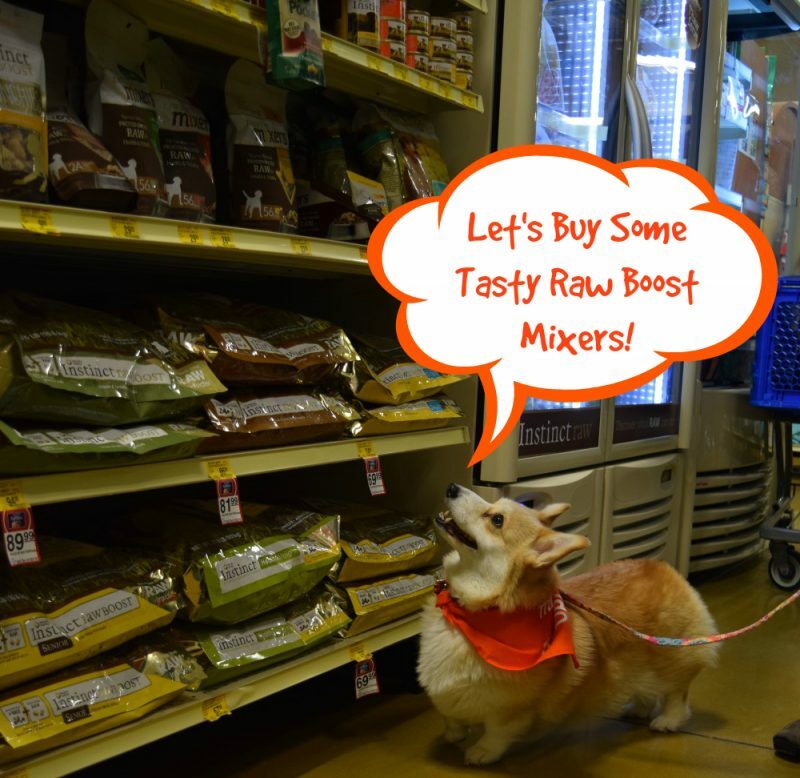 Eve quickly located what she was looking for – a whole aisle of healthy food and treats, including Raw Boost mixers. There are full size bags available. There are sample sizes too! 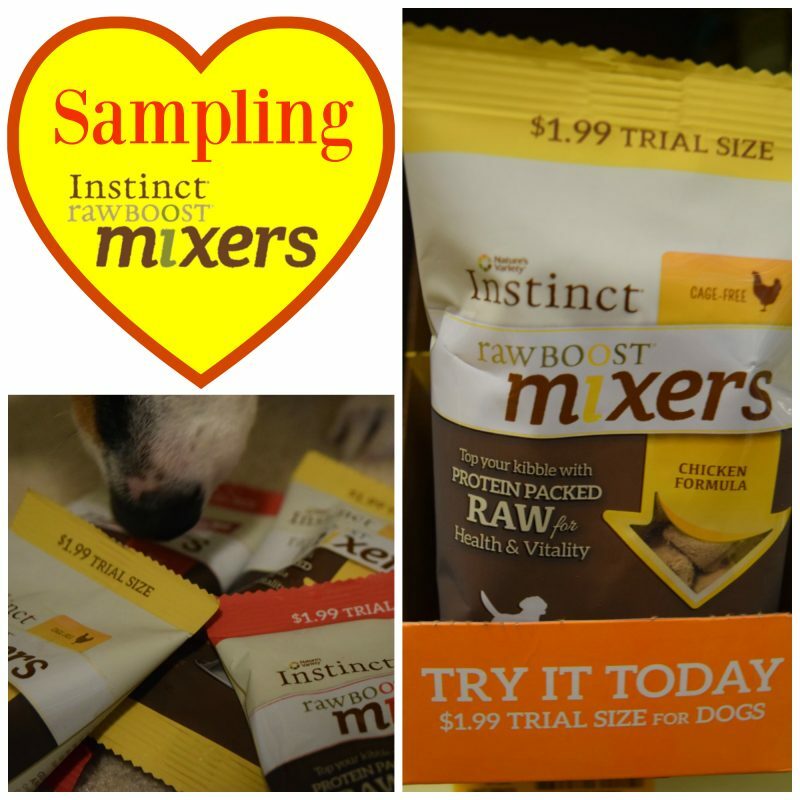 Samples are a great and super affordable way to try out Instinct Raw Boost Mixers to see if they are right for your pet. They also are great as a convenient size to use as treats. Eve definitely approves of both sizes. Instinct provided us with her cute bandanna too. Orange is Eve’s favorite color! Of course, Eve also approves of multiple purchases. There are four flavors available: Chicken, Beef, Turkey, and Lamb. 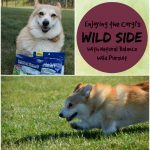 Nature’s Variety Instinct Raw Boost Mixers make it easy to add high protein raw nutrition to your pet’s kibble This all natural, freeze dried raw food is convenient and super easy to use. Instinct Raw Boost Mixers provide pure animal protein for lean muscles and strong bones, with natural ingredients for optimal nutrient absorption. 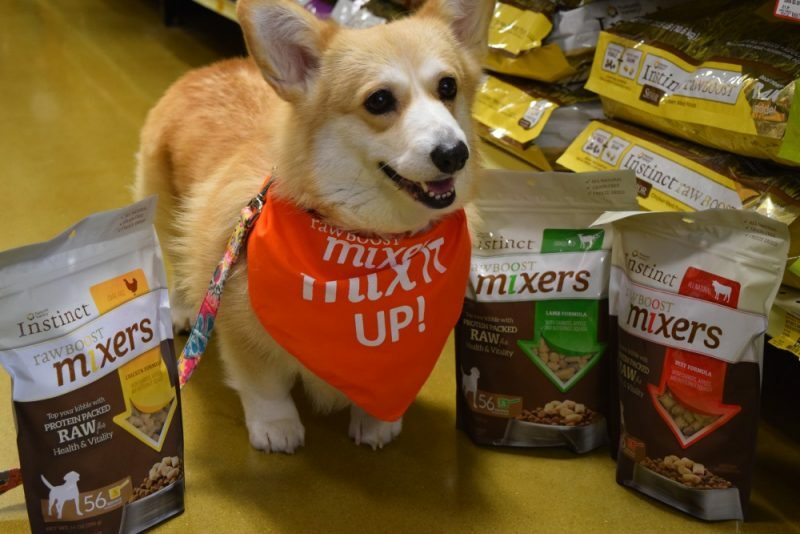 The mixers also contain nutritious oils for healthy skin and coat. 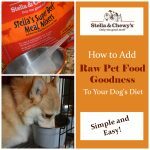 Depending on how much you feed and for how long, benefits of raw feeding include proper digestion, healthy skin and coat, increased energy and vitality. 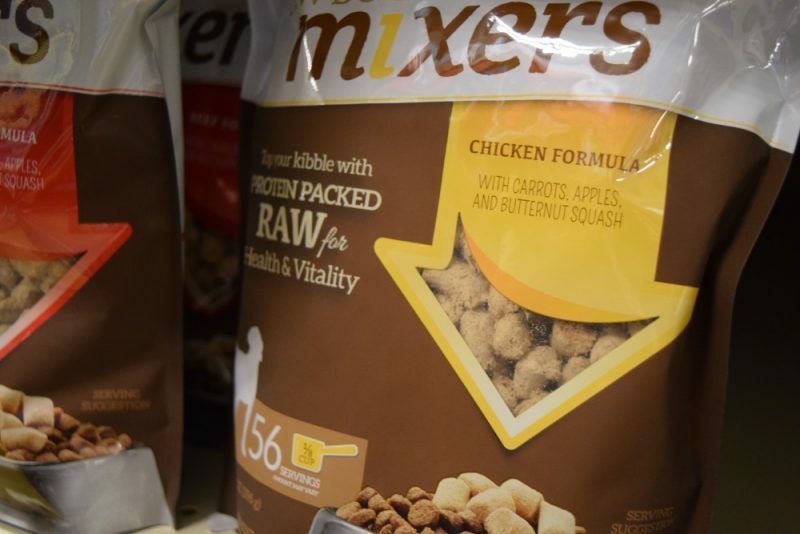 To feed the mixers, simply add some to your pet’s meal, on top of kibble or canned food. Mix them in with no need to add water. The back of the package gives instructions on the amount. 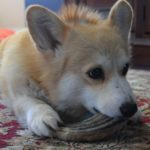 I also like to use them as treats. Eve was quite excited about them when we got home! 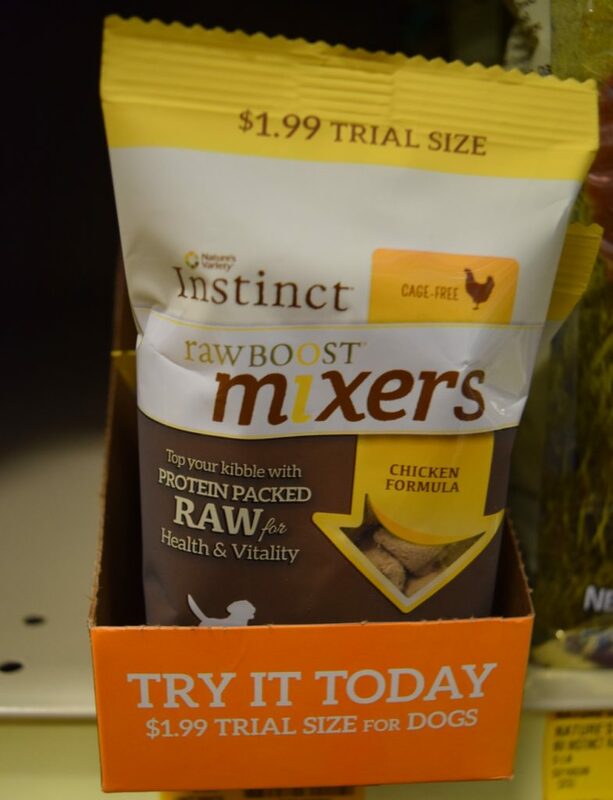 Right now, you can get Instinct Raw Boost Mixers in sample sizes at PetSmart for $1.99 per bag. 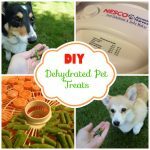 This is a great way to try out the product with your own pets. 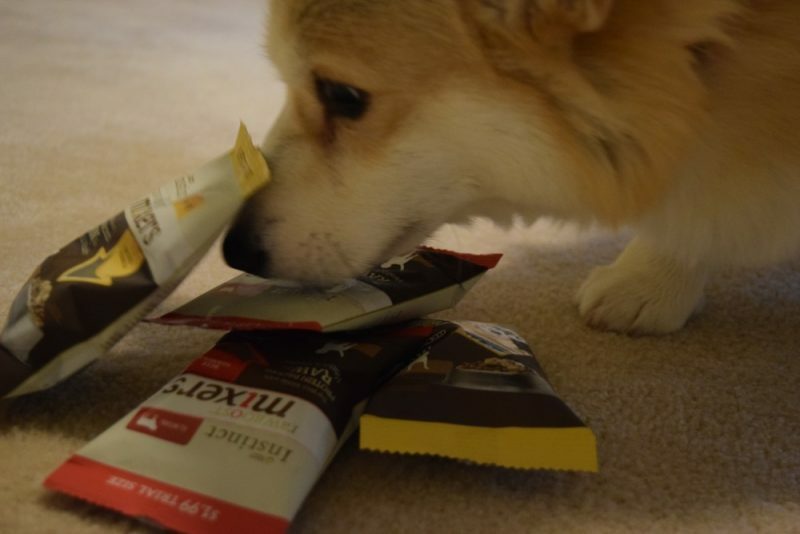 The sample bags are great too for use as treats! You can store them in your freezer for special occasions or for daily use. This does look like a clever way to mix things up and give a dog the variety they crave. I switch out proteins from time to time and this looks like a good option. Your pics are fantastic. Eve looks as though she knows exactly what she likes! 🙂 My dog is also loving these mixed in with her food. We heard so many great things about these mixers! 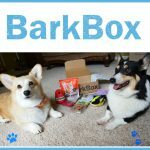 I’m so glad to see they have a trial size so I can see if the Goldens would enjoy these! Love the pics, great post!! We’ve been reading so many wonderful things about the Mixers! We’re going to have to try for a little mix-in with our kibble! We’ve read so many wonderful things about Mixers! 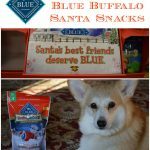 I love that they are available at PetSmart! Eve looks like she is really enjoying her treats. And I like that they have a variety of choices. 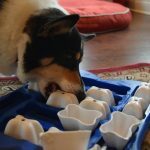 I will have to pick some up to use for training treats! 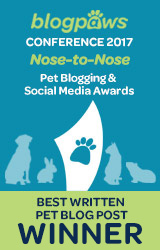 I am feeding my kitties some of the Nature’s Instinct raw – this looks like a great supplement! The bandanna looks great on Eve. Mr. N is enjoying his mixers! 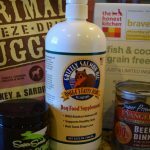 This a great way to try out raw feeding & transition to giving dogs raw nutrition in a freeze dried format. I just picked up 3 trial size bags at PetSmart.